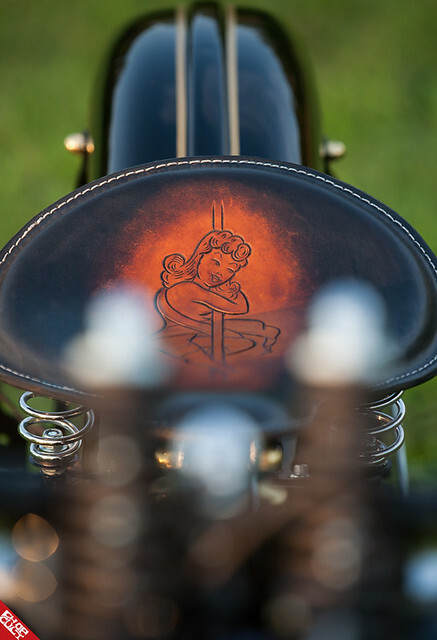 I’ve been a fan of Choppahead Kustom Cycles for many years. 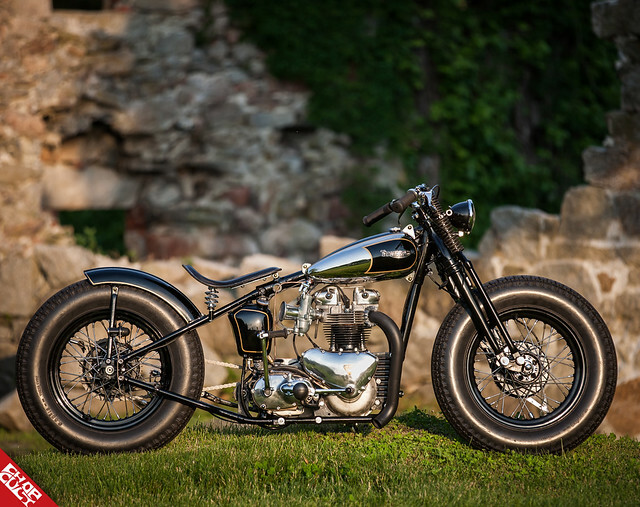 Their custom motorcycles are always dialed in, clean and road worthy. Basically, showstoppers with balls. Most importantly, you won’t break the bank buying one of their custom bikes. 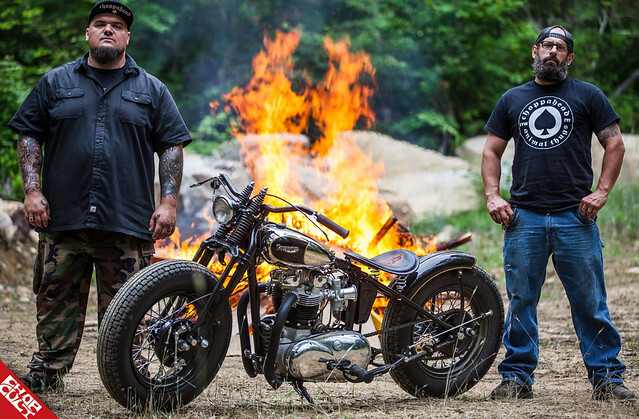 They built the Nickel Peeper Preunit for their friend Marc, who loves and collects classic bikes and kustoms. 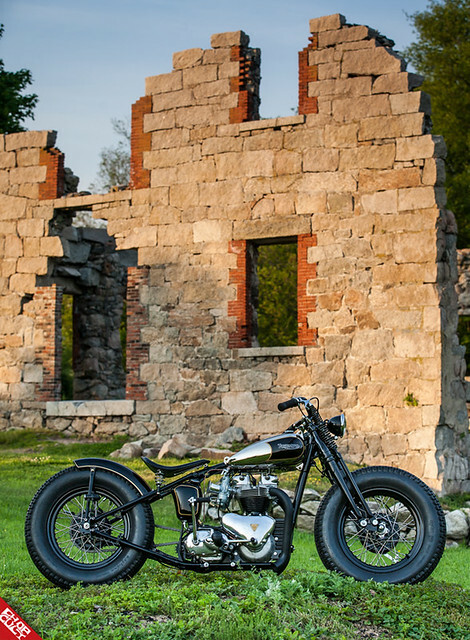 Choppahead put a lot of time into building a kustom that looks like it could be a stripped down factory bike from the 40's/50's. Enjoy! 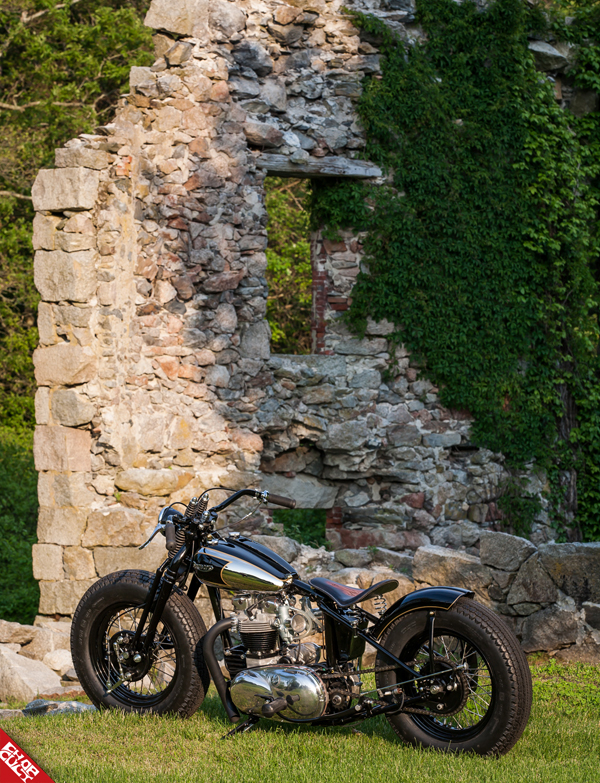 Stay up to date with Choppahead Kustom Cycles by following them on Facebook and Instagram! Works for me. and most rigid Triumphs don't. why it works.Both enhance the long&lean look enough so it isn't really undercut by having front and rear tires pretty be much the same size. Beautiful bike! Nice work guys. AWESOME as usual from the Choppahead crew!!!! Outstanding! Dam, however not really sold on the pipes yet. I'll have to stare at it for another hour, nice work. Gorgeous, classic Trumpet. What more couldya want? Absolutely awesome. Perfectly simple and badass at the same time. Nice job. I think I have a new favorite from you guys!